The UK Strength and Conditioning Association expects record attendance at an Olympic-themed conference next month at Royal Holloway, University of London, which was the official Rowing & Canoe Sprint Village for the London 2012 Olympic Games. A record 400 delegates are expect to attend the annual conference from 15-16 September 2012. The UK Strength & Conditioning Association’s conference organiser Sarah Kilroy said: "The theme of the conference is ‘Preparation of the Modern Olympian’, which is very relevant after the success of Team GB this summer. 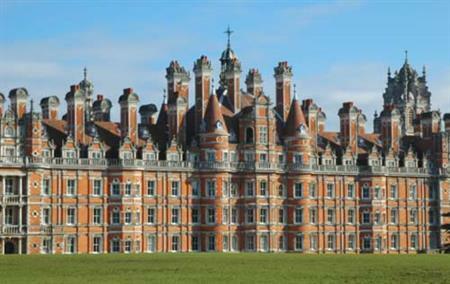 "Royal Holloway’s close location to London helps to maximise attendance. Many people can come just for the day to ‘try’ the event and then hopefully book for the full two days next year. "Also, the venue has a great campus and sports facilities with extensive grounds. Delegates are able to make good use of the grounds for early-morning runs and access to the excellent sports facilities on site is also a considerable advantage for the delegates who are sports specialists. "A university is proven to work as a good option for our association as we have held the conference at universities in the past."